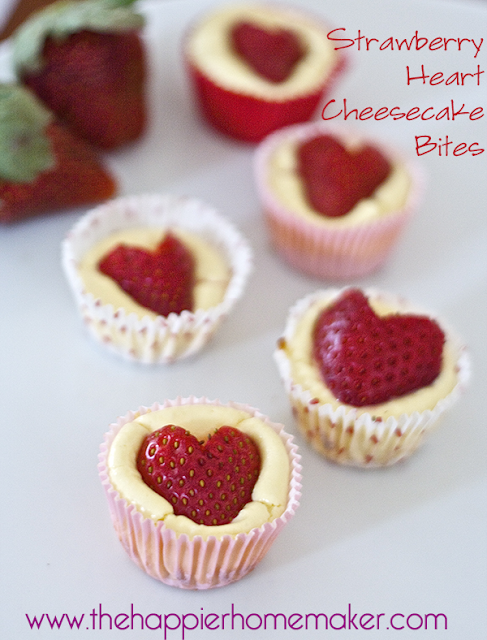 These yummy strawberry heart cheesecake bites are easy to make and you probably already have everything you need in the kitchen to make them. And what a fun Valentine's Day treat. You can get the strawberry cheesecake bites recipe over at The Happier Homemaker.